* Organza and threads necklace 16-18"
Registered Airmail: We highly recommend buyers to add US$ 2.00 to upgrade to registered airmail. We also offer FREE UPGRADE TO REGISTERED AIRMAIL for a combined purchase of 10pcs. Delivery: We will ship item within 24hours(from Monday to Friday HK time) upon receipt of cleared payment. Item will be sent via Hong Kong Post Office regular airmail. 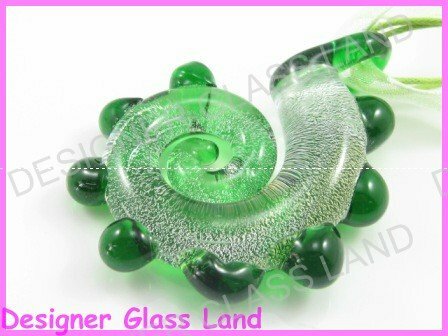 P559 MURANO LAMPWORK GLASS GREEN OVAL PENDANT NECKLACE, FREE SHIPPING!!! P510 MURANO LAMPWORK GLASS BLUE PENDANT NECKLACE, FREE SHIPPING!!! P570 MURANO GLASS GOLDEN NAVY GRID PENDANT NECKLACE, FREE SHIPPING!! !